The number of industry applications in which induction motors are fed by static frequency inverters is growing fast and, although much has already been done within this field, there is still a lot to be studied/understood regarding such applications. 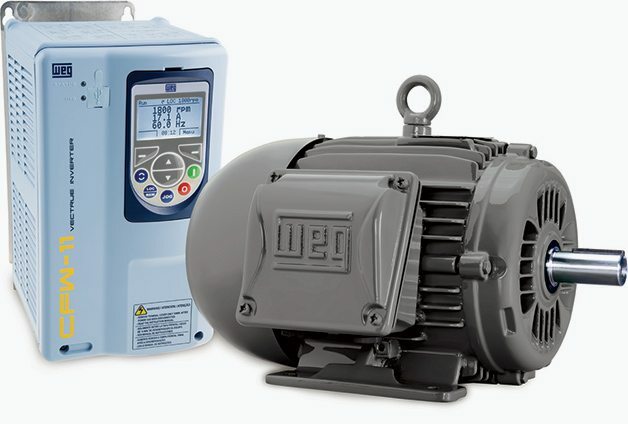 The advance of variable speed drives systems engineering increasingly leads to the need of specific technical guidance provision by electrical machines and drives manufacturers, so that such applications can be suitably designed in order to present actual advantages in terms of both energy efficiency and costs. This technical guide aims to clarify the main aspects concerning applications of low voltage (≤ 690 V) induction motors with static frequency inverters supply, for frames ≤ IEC 355 (NEMA 587), in a didactic and concise approach. First of all the principal and most broadly followed international standards about the subject are mentioned. Then the theoretical basis of speed variation on induction machines by means of indirect static inverters is presented, as well as the fundamental characteristics of electronic inverters. Once the basics of adjustable speed drives are known, the behavior of the whole power system is analyzed. Each component of the power system (AC power line – frequency inverter – induction motor – load) is focused, as well as the overall interactions between them, resulting from speed variation. In this manner the whole drive system can be well understood. At last examples of VSD systems designs are presented, for a better understanding of the matters exposed throughout the document. Always looking out for a technical elucidation as complete as possible along this guide, some controversial points are emphasized. Divergences existing among distinct standardization organisms are discussed and WEG’s point of view is explained. The induction motor, when under PWM voltage coming from the inverter, is subjected to voltage harmonics (frequency components above the fundamental frequency). Depending on the type of PWM employed, the switching frequency and other peculiarities of the control, the motor may present efficiency decrease and losses, temperature, noise and vibration levels increase. Furthermore other effects may appear when induction motors are fed by inverters. Insulation system dielectric stress and shaft voltages allied with potentially damaging bearing currents are well known side effects. Although not produced specifically by harmonics but by other matters that will soon be approached, these are important effects and should not be neglected. The motor current and voltage waveforms when under PWM supply are illustrated below. Then the motor fed by frequency inverter sees a pulsating (PWM) voltage and a practically sinusoidal current, so that the voltage harmonics generally present higher magnitudes than the current harmonics. Title: Induction motors fed by Pulse Width Modulated (PWM) frequency inverters – WEG Equipamentos Elétricos S.A.